The final debate will be in Cleveland. 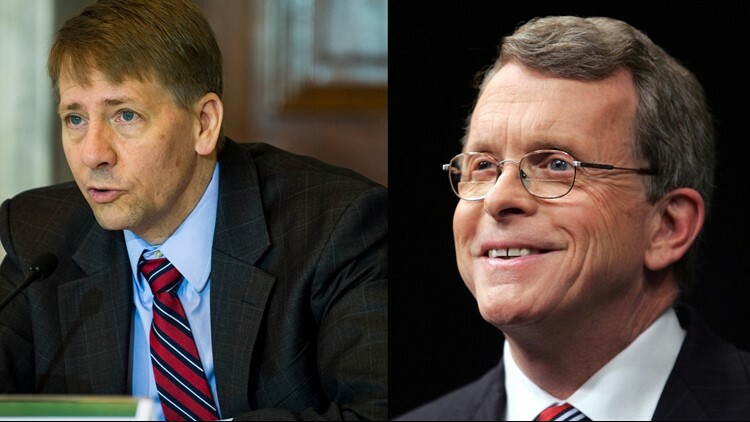 CLEVELAND -- Ohio gubernatorial candidates Richard Cordray and Mike DeWine announced plans for a trio of scheduled debates this fall. The first debate will take place Sept. 19 at the University of Dayton. The second will be Oct. 1 at Marietta College. The third, hosted by the Ohio Debate Commission, will be Oct. 8 at Cleveland State University. All debates are scheduled to begin at 7 p.m., according to a joint news release issued by both campaigns. President Barack Obama is scheduled to campaign for Cordray in Cleveland next week, while President Donald Trump endorsed DeWine back in May.